Whatever you do, don’t steal this rabbit’s carrots. He doesn’t like it. Not one bit. So much so that he’ll hunt you down through hell and high water to get them back. Enter the Ninjin, a fast-paced side-scrolling beat ’em up, shoot ’em up and all out blast with crazy colourful visuals and retro-stylised pixel art all wrapped up into one bento-sized box of downright craziness. 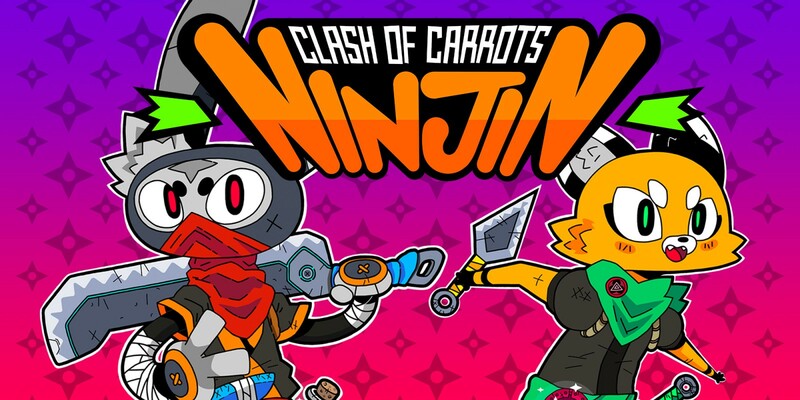 Ninjin: Clash of Carrots was developed by Pocket Trap, a small development team based in São Paulo, Brazil, and has been published by Modus Games. Setting to release on the 4th of September 2018 for PC, Xbox One and PS4, this adventure sees you play as either Ninjin or Akai, two ninjas ready to fight and retrieve what was stolen from their village. At the start of this title, you are thrust straight into the fray. A short cinematic lays out the basic plot and storyline for the next few hours of gameplay. Your village has been attacked by minions of the Shogun, and they have stolen, yes, you guessed it: carrots. And you have been tasked with getting them back at all costs. Now at first glance, you would think that this title is the same as other games from the genre that gave us Streets of Rage, Golden Axe, Castle Crashers and the like. But, this has also been mixed in with shoot ’em up mechanics familiar to games such as Dead Nation, Alienation and the like where you utilise the right thumb stick to aim projectiles at enemies. This all comes together to create a fast-paced, enjoyable world to dive into. It’s a hack, slash/beat ’em up with shooting-style mechanics to fight your way through waves of enemies to reach the next zone. 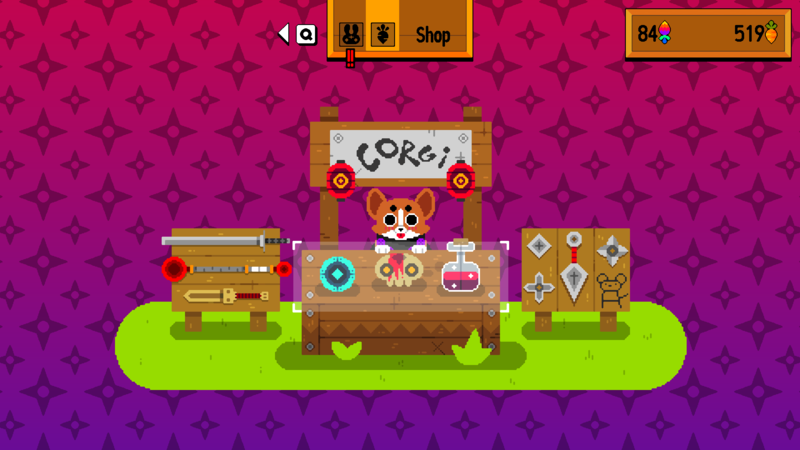 Whilst you travel in the world of Ninjin, you are greeted by a corgi dog (he happens to be the shopkeeper) who offers to help you in return for saving his life. His asking fee: those hard-earned carrots you’ve been collecting throughout the levels. But, in return for said carrots, he’ll have a catalogue of extensive weaponry, throwing projectiles and assist-type items that will only grow the more you play. Hell, I even managed to buy a sword in the shape of a carrot, which was kind of amusing. 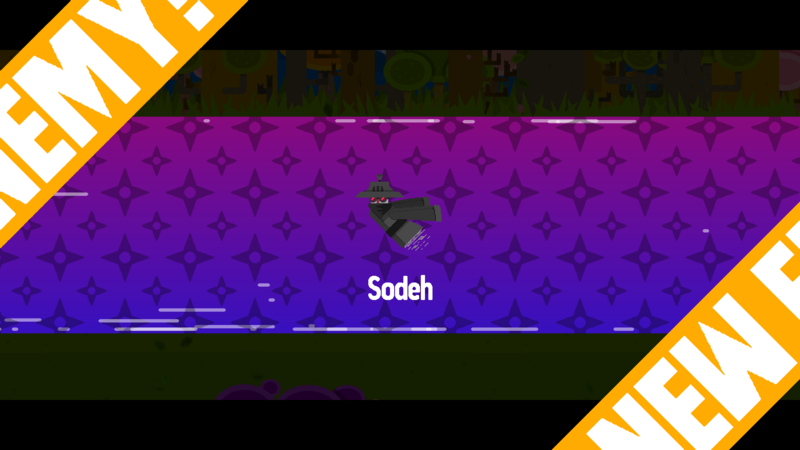 As with most games of this genre, each new weapon has a range of abilities to assist you in the coming levels, like increased range for bigger swords, increased throwing rates for ninja stars, increased health and stamina to perform feats whilst in combat, the list goes on. 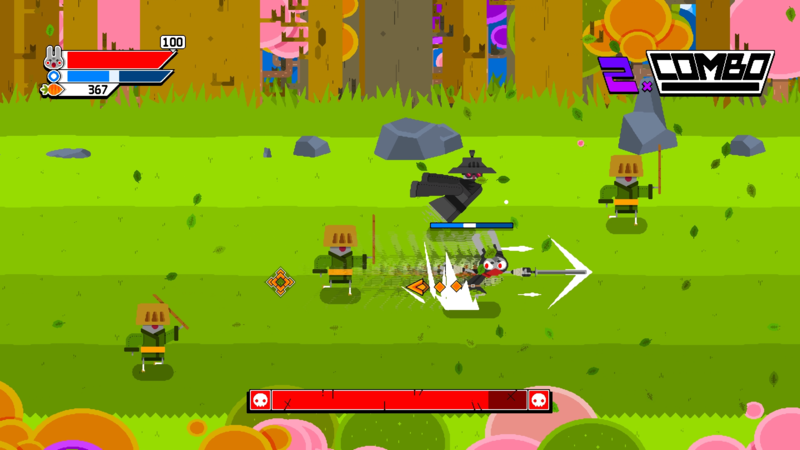 Within this game world, nothing is left to chance, and as you play through the levels, tutorial sections appear letting you know how to play and what key strokes are used to perform certain actions, like the dash and dash attack abilities, which is super useful when you need to get past a blockade of enemies in your path. Then, as you get used to them, it’ll add another ability for you to conquer. And what kind of side-scrolling beat ’em up would this be if it didn’t have power-ups? Yes, there are plenty of those in here, and they all provide you with much needed boosts when you really need them. When, however, you get really stuck, you can call on a friend either locally or online to help you in the fight against the Shogun and his minions. Each minion that presents itself has its own quirks and special introductions to make it stand out from your regular grunts. These little cutscenes kind of remind me of the Mega Man days of old when fighting a boss. A cutscene would present the boss in question, and the fight would ensue. 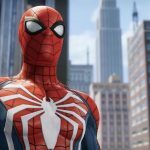 I have noticed a few issues with the game that should be noted. First of all, like with many games from the side-scrolling beat ’em up genre, there is nothing I like more than plugging in a pad and playing at my own leisure. I did notice that on the PC version the controller support doesn’t seem to be there, and all actions are used on a keyboard and mouse. Of course, this won’t be a problem for the console releases, but this would have been a nice feature to have had for the PC. Secondly, even though the humour can be funny at times, I feel as though the humour has been forced and can come off a little bit juvenile in its delivery at times. That being said, however, I get the impression that it’s being targeted for a younger demographic, and with the cutesy elements to it, I can see why they went for that. When you’re in the mood for a game that serves up straight-up, no nonsense hack ‘n slash gameplay with elements from many classic games, you can be sure to have a blast for a time, either with a friend locally or through online means. This will satisfy your desire to hanker back to days gone and relax whilst you play. But after a while, the humour will start to grate on your nerves, and when you’ve had your fill of the retro nostalgia, you’ll be wanting to put the pad (keyboard and mouse for us PC gamers) down and see what else you would like to play. If you're in the mood for a bit of nostalgic, side-scrolling mayhem and carnage, then look no further than Ninjin: Clash of Carrots. Sit down, relax and bring a friend to enjoy the fun as you explore the vast world together (or on your own) and see what challenges await you. Just be warned that the humour can come across a bit juvenile at times, and once you've had your fill, you'll be wanting to play something else.